How to create a multiple-column drop-down menu? Each submenu has a parent element. 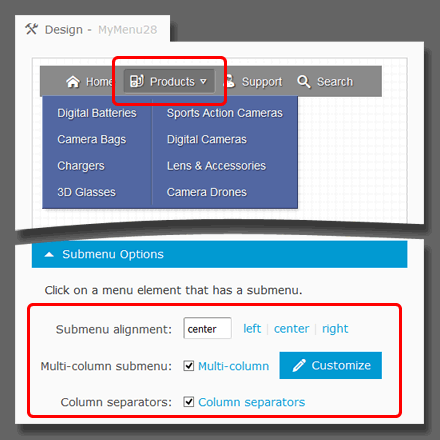 Select the element to customize the submenu. The "Column separators" option adds a vertical line between each column to make the layout more visually appealing.